Home / Profile / Josh Talks coming to Surat..!! Josh Talks coming to Surat..!! Ms. Schweta Merchant is the founder and promoter of HappyMinds. The awardee of 'The Youngest Social Entrepreneur, Surat' has mentored and changed the lives of lakhs of people. Breaking through multiple businesses, Atul Vekariya took a leap into the food industry and started Atul Bakery, the 100% Vegetarian Bakery. Starting from a pan shop all the way to an international business, Atul Vekariya is setting an example for the world. One of the top motivational speakers in India, Vasant Chauhan is changing more than 107k+ lives with his Hindi Motivational Videos. Belonging to a family of cobblers and tailors, working as a lyricist in the film industry, he is today the hero of his YouTube channel. A mentor to future IAS Officers, M.Nagarajan has created India’s first 100% WiFi tribal taluka and India’s first Digital Village at Akodara. Sanjay Saraogi is the Director of Laxmipati Sarees, a leading Indian Saree brand. Bringing in American technology, Sanjay has helped Laxmipati claim International recognition, making it the first Indian brand to make Sarees out of Corn. Bringing Concept stores to Surat, Simmi Nandwani is the masterming behind Theory, showcasing fashion, food, and furniture from all over the country. Taking innovation to the next level, Uday Patel has built an autorickshaw with incomparable facilities for commuters in Surat. Surat is one city that has shown the world how a city can become the center of economic growth using its own strength. The Government of Gujarat has already rolled out several schemes to assist start-ups. An increased number of entrepreneurs from the city will serve to further the aim of developing a holistic start-up ecosystem within the country. Josh Talks in partnership with Facebook is all set to host its first #BoostYourBusiness conference in Surat with the aim to bring together business pioneers and upcoming professionals to promote the spirit of entrepreneurship among the youth and future changemakers. Following that is a Boost Your Business workshop by Facebook, where a certified trainer will present the different ways through which one can use Facebook to grow their business. In one day, entrepreneurs and businesses get the opportunity to walk away with the most up-to-date tools, insights, and best practices for achieving success on Facebook and Instagram. Learning tools for connecting with customers, effective advertising practices and creating useful and beautiful content, all happens under the same roof. Supriya: Our goal with Josh Talks is to expose people to new ideas, new stories & new opportunities using the power of stories. Josh Talks Surat is a step in that direction to bring the community of Surat together and show them what's really happening in the world today. Shobhit: Entrepreneurs, Innovators, Creators & Doers. Josh Talks Surat is going to be all this and more. The idea is to bring under one roof some of the greatest minds of our country and use their stories as a tool to get others thinking. Josh Talks simply shows you the value of human potential. 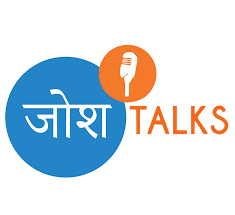 We at Josh Talks, wish to invite business professionals, entrepreneurs & aspiring entrepreneurs, Influencers, Government officials and students interested in entrepreneurship and business to witness fascinating and thought-provoking stories.